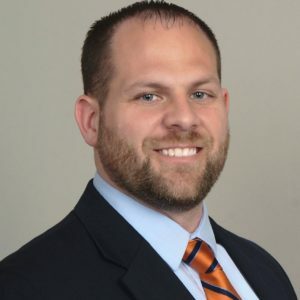 Ronald Annotico is an associate attorney at Quinn Legal Associates, who practices in the areas of OVI/DUI, Criminal and Traffic Defense, Personal Injury/Auto Accident/Lead Paint Poisoning litigation, and Debt Collection. Mr. Annotico obtained his Bachelor of Arts degree in Political Science from Kent State University in 2002. He then obtained his Juris Doctorate from the Cleveland State University and was licensed to practice law in Ohio in 2008. Prior to joining Quinn Legal Associates, Mr. Annotico was an associate attorney with the Lipson O’Shea Legal Group from 2008 to 2015 and was a member of the personal injury law firm, Brelo & Annotico from 2015 to 2017. Over the past nine years, Mr. Annotico has had the opportunity and privilege to represent clients in every municipal and county court in Northeastern Ohio and has successfully argued multiple cases before the Ohio Supreme Court and the Courts of Appeals in several districts around the state. Mr. Annotico is also a member of the Parma Bar Association. Currently Mr. Annotico is certified in the administration of NHTSA field sobriety testing and has completed several courses from The National College for DUI Defense. He has also completed several forensic and analytical chemistry courses taught by Axion Laboratories of Chicago, IL. These courses are particularly helpful in DUI/OVI defense, as they have taught Mr. Annotico the proper procedures that government crime laboratories must follow and how the chemical analysis of alcohol in blood and urine samples is properly performed using gas chromatography and mass spectrometry machines.